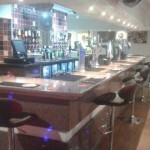 Scarborough Railwaymens Social Club in Scarborough has a function room that can be booked. The pub shows live comedy, it has a dart board. Scarborough Railwaymens Social Club has live music events. The pub has a pool table, it has a big screen. Scarborough Railwaymens Social Club shows football on TV. The pub has Sky Sports, it has terrestrial TV. Victoria Hotel in Scarborough shows football on TV. The pub has terrestrial TV. Scarborough Working Mans Club Institute in Scarborough has a function room that can be booked. The pub shows live comedy, it has a dart board. Scarborough Working Mans Club Institute has live music events. The pub has a pool table, it has a big screen. Scarborough Working Mans Club Institute shows football on TV. The pub has Sky Sports, it has terrestrial TV. 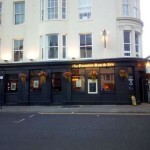 L'amour Cabaret Bar in Scarborough holds quiz nights. Storm in Scarborough has a beer garden. 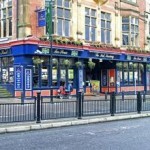 The pub has an outside area, it has live music events. 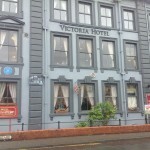 Biderbeck's Hotel in Scarborough has accommodation. The pub has a beer garden, it has a function room that can be booked. Biderbeck's Hotel has an outside area. The pub has live music events, it has a big screen. Biderbeck's Hotel shows football on TV. The pub has Sky Sports, it has terrestrial TV. 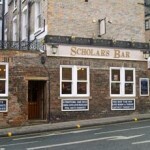 Scholars Bar in Scarborough serves real ale. The pub has a dart board, it has live music events. Scholars Bar has a pool table. The pub holds quiz nights, it has a big screen. Scholars Bar shows football on TV. The pub has Sky Sports, it has terrestrial TV. Home Guard Club in Scarborough has a dart board. The pub holds Poker Nights, it has a pool table. Home Guard Club has a big screen. The pub shows football on TV, it has Sky Sports. Home Guard Club has terrestrial TV. 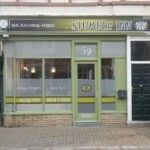 Stumble Inn in Scarborough serves real ale. Spa in Scarborough has a car park. The pub serves food, it serves real ale. Spa shows football on TV. The pub has terrestrial TV. The Nelson Inn is a family pub in Scarborough. It has pool, darts, Quiz nights, Karaoke/Disco and Live music. Scarborough Conservative Club in Scarborough has a function room that can be booked. The pub has a dart board, it has live music events. Scarborough Conservative Club has a pool table. The pub has a big screen, it shows football on TV. Scarborough Conservative Club has Sky Sports. The pub has terrestrial TV. Situated in the heart of Scarborough town centre, our bed and breakfast is within easy walking distance of the local amenities, the beach, the Spa Complex and the theatres.